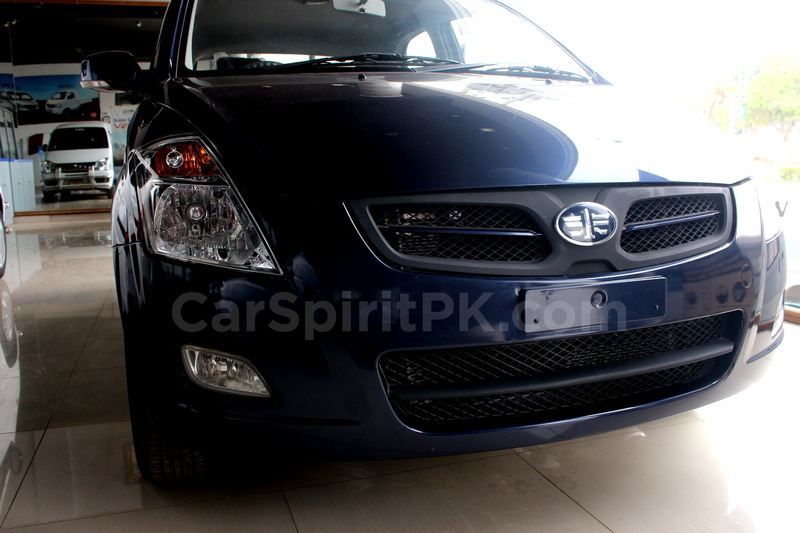 Al-Haj FAW introduced the 1300cc V2 hatchback in Pakistan back in 2014 as a CBU import. 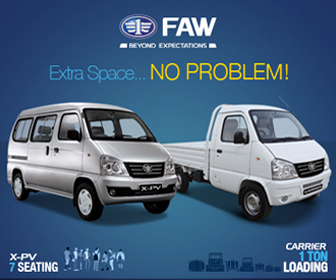 Since then FAW V2 has been able to signify itself as an affordable, reliable and feature-rich option in a market primarily dominated by under-spec, over expensive Suzukis. 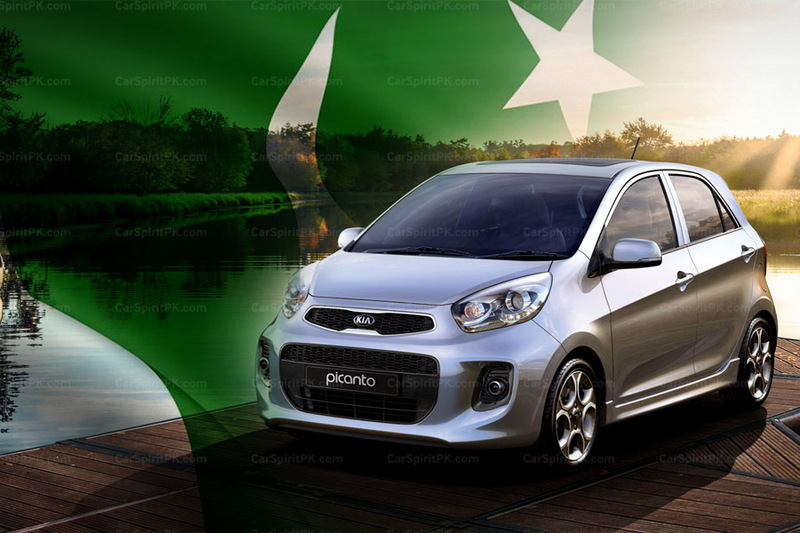 In August 2017, the local assembling of the V2 hatchback began at Al-Haj FAW’s assembly plant located in Karachi. 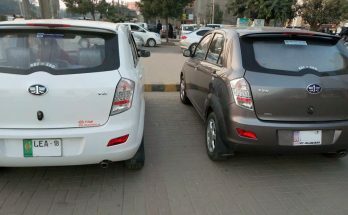 According to the company, the V2 hatchback have seen a 60% increase in sales ever since the local production has commenced. The V2 beats its competitors in terms of features & equipment and more importantly the price difference. Although on papers it knocks its opponents off, but how is it to own and maintain one? We gathered opinions from different V2 users and their feedback was quite positive. 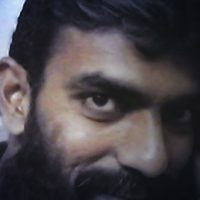 Syed Laraib Imtiaz is a Technology Innovator and Consultant, living in Karachi. 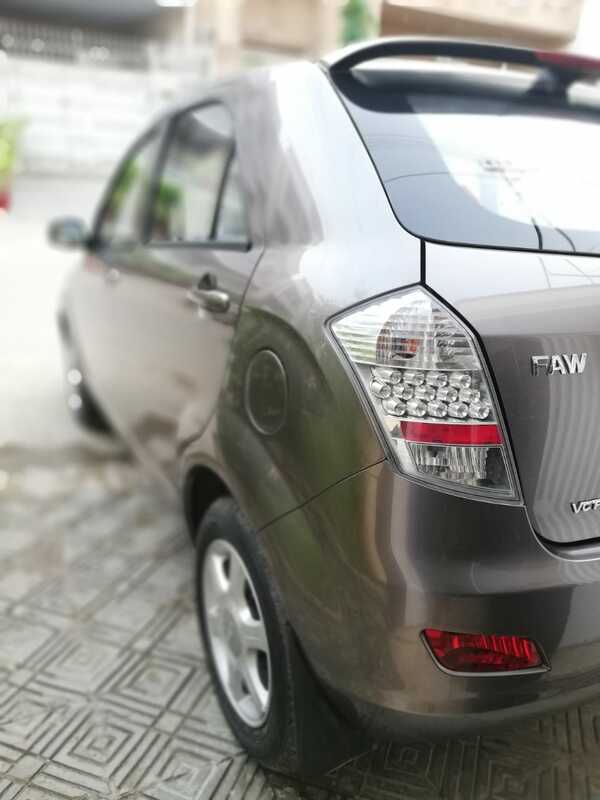 He owns a 2018 model local assembled FAW V2 and is quite satisfied with the car. According to him, the major reason to opt for V2 was the features it offers against the price. 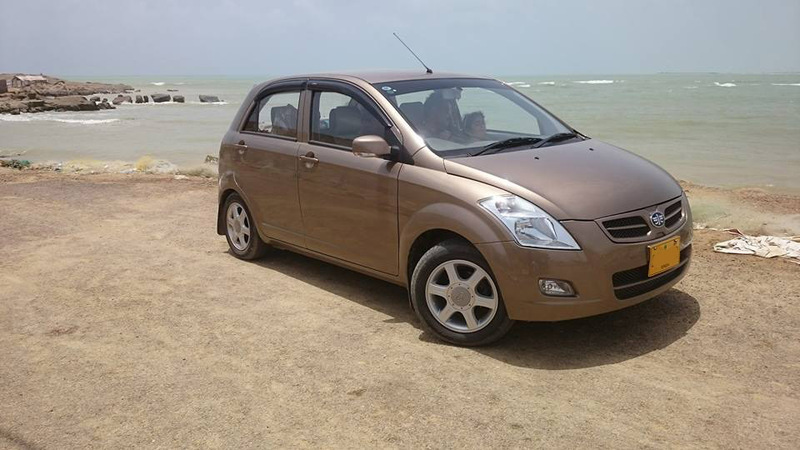 I had considered Cultus, WagonR and imported options but V2 stood as the clearer winner. It looked like a tough decision at start but it was pretty straight forward at the end. 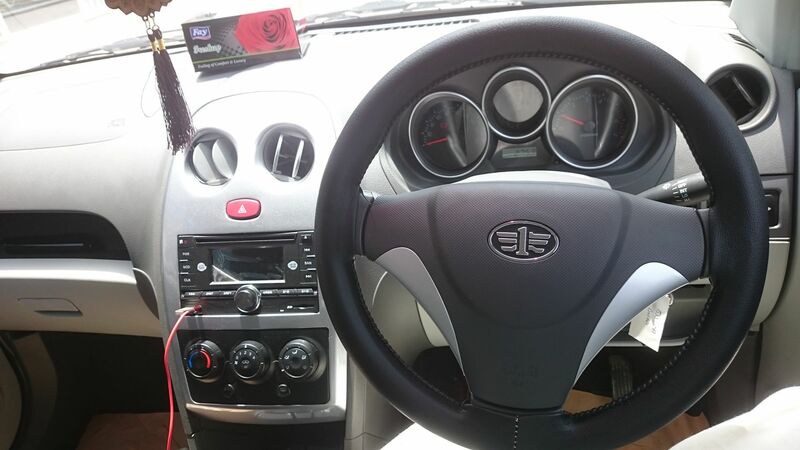 Interior is very spacious and the car is a pleasure drive. In fact it’s so pleasurable to drive it’s quite honestly the VW Golf Gti of Pakistan..
Manzoor Ali Mashori, a seasoned Banker by Profession with an experience of over 12 years, living in Karachi for last 17 years, is a proud owner of FAW V2. 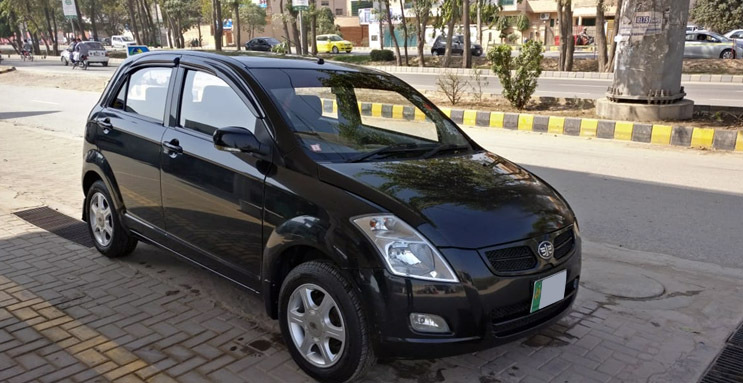 Manzoor owns a 2017 model V2, bought brand new, which was among the last batch of the CBU imported units. It’s not an easy decision to opt a new entrant, especially when its ‘Made in China’. In 2015 I came across a new entrant in hatchback market, the V2. 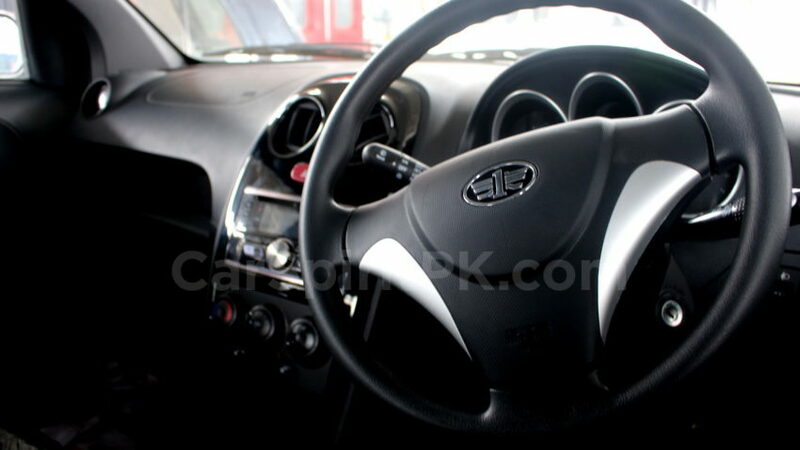 Immediately I rushed to FAW South Motors with a friend having a sound knowledge regarding automobiles. 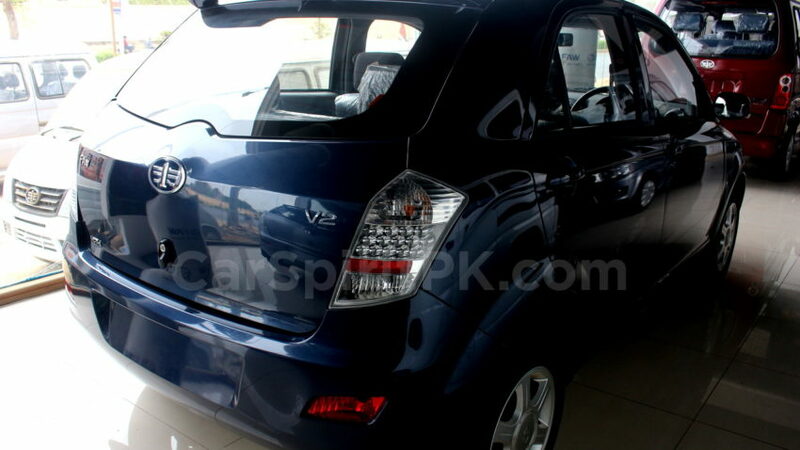 After a thorough checkup of the vehicle, my decision to buy V2 was strongly opposed. 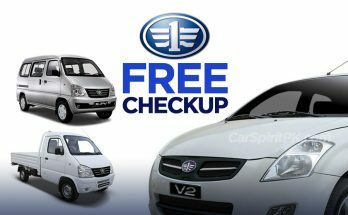 In May 2017, I started thinking to switch to a new vehicle and V2 came into my mind. After a massive research and feedbacks from prevailing users, I immediately made my mind and bought it without asking for anyone else’s opinion about it, as it was my sole decision. 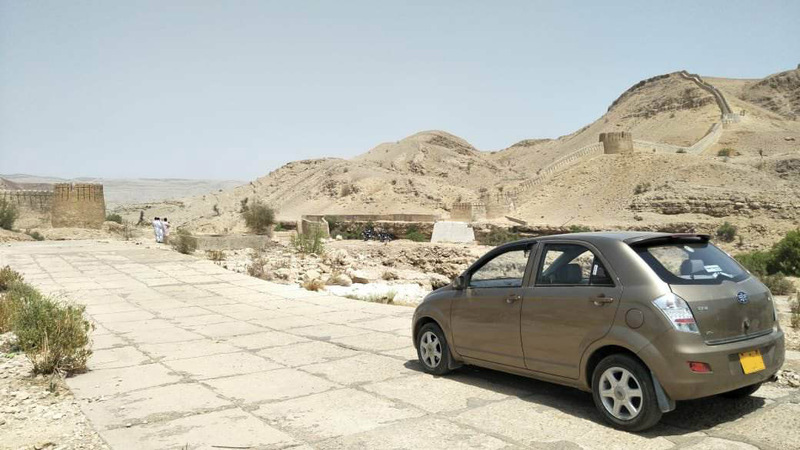 Manzoor Mashori has driven his V2 for more than 25,000 km in just 14 months. The in-city run is 20 km/day while rest of drive is on highways. 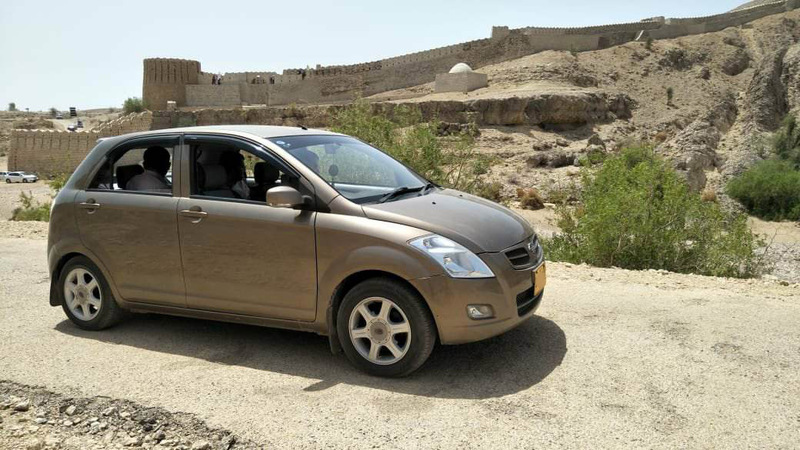 Manzoor’s experience of taking the V2 on longer road trips proves the reliability of the V2. I have been to Islamabad and Northern areas from Karachi twice in 2017-18. 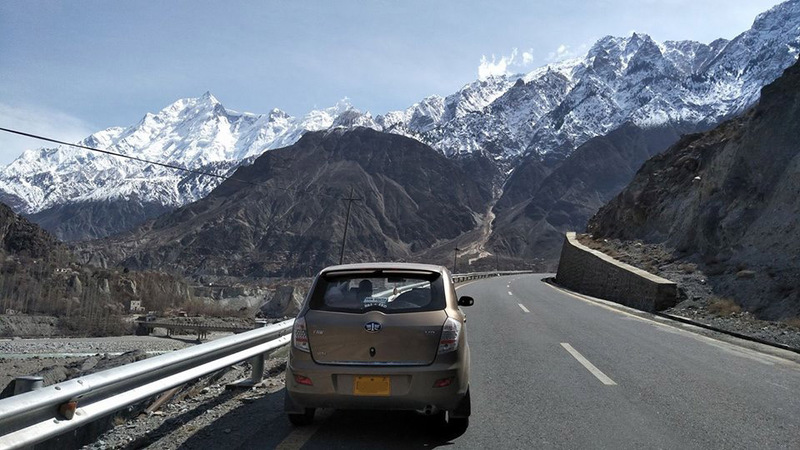 I took it up to Hunza in a consecutive 2 day drive from Karachi in March 2018 and it never disappointed me at a single point of time throughout the drive. 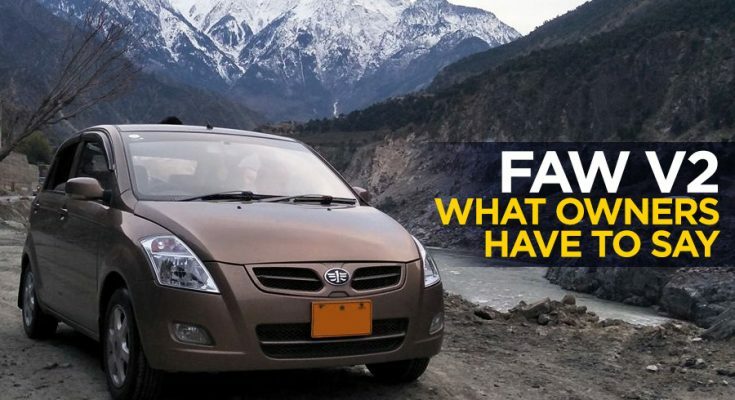 The car was driven 4,600 km in that trip from Karachi in 8 days covering all types of terrain. 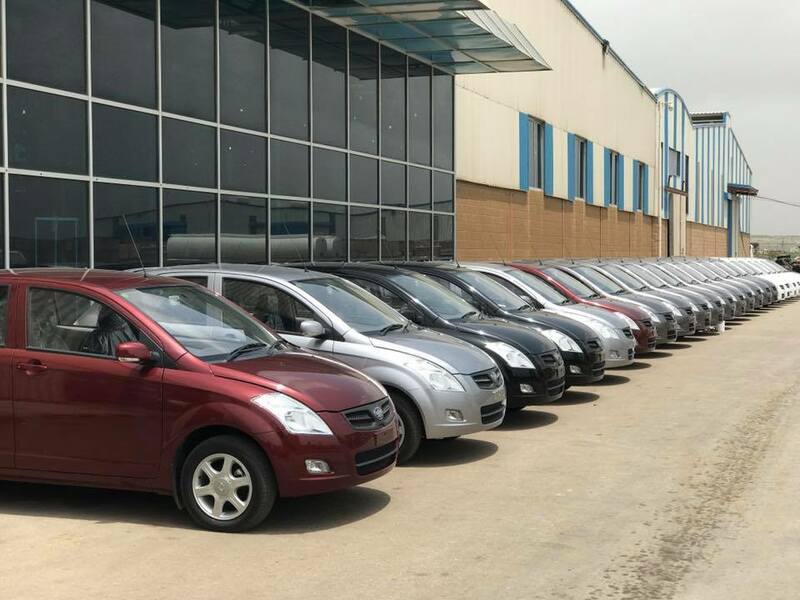 As for the spares, Manzoor believes the cost of genuine parts are always on a higher side as compared to pirated ones available in local markets. However the cost of genuine spare parts are at par in comparison with same category of local cars. 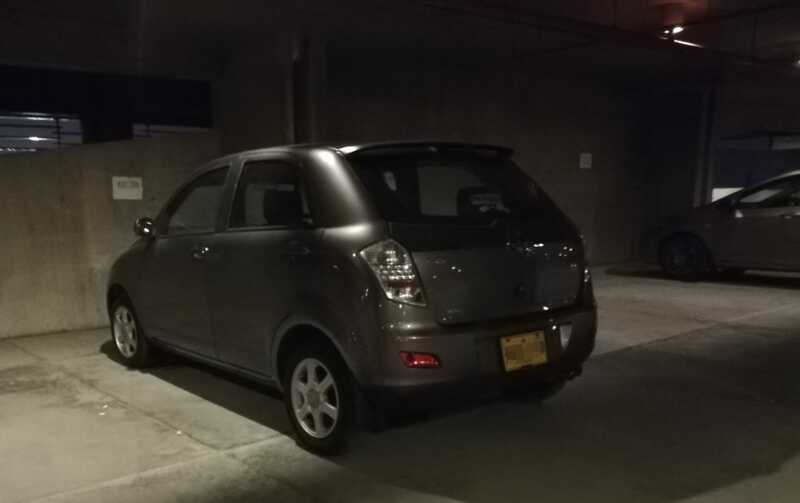 I was looking for a relatively new car, which could easily seat 4 adults and their luggage, and travel easily at highway speeds. Also, I didn’t want to buy a car which can then become a hole in my pocket. Seeing the requirements, there was really no other option left in the Pakistani market. I didn’t buy WagonR because it was not a car which could be comfortable for 4 people, on long routes. 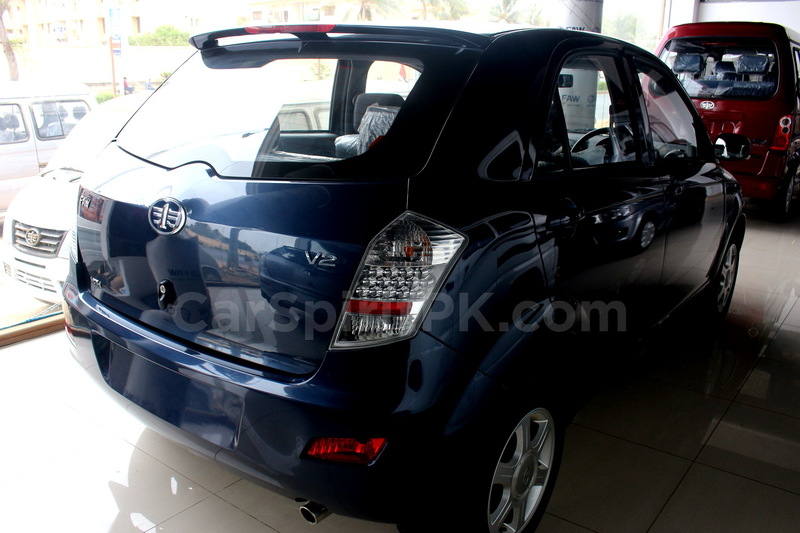 It also lacked features I consider to be basic, like such safety features as ABS and airbags. The used sedans were not an option because they had the probability of being a major drain on the bank account. The kei cars were too small and underpowered for my liking. Umair’s decision to buy the V2 was purely based on practicality, as he believes V2 is the best option currently for middle class people with small families in a decent price tag. The luggage room is huge, for a car of this category. 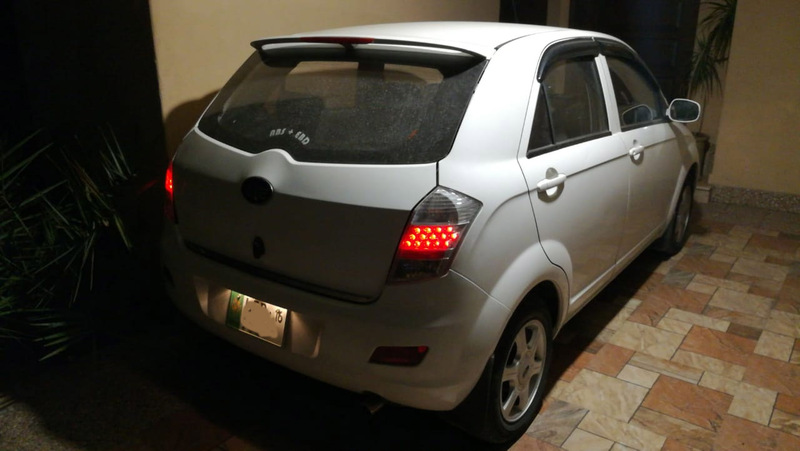 I have kept other hatchbacks earlier, and none of them available in Pakistan from imported or local cars come near this one (I wouldn’t consider Honda Fit or Toyota Aqua to be in the same category though ;)). The seating and legroom is comfortable for normal adults. The legroom is much larger than Swift. The ground clearance is ample, never has it ever hit on any speed breaker in my limited use. AC performance is good to keep the cabin cool in 45+ temperatures. Acceleration is at par with the bigger sedans and the car never feels underpowered in comparison to the limited competition that we have here. 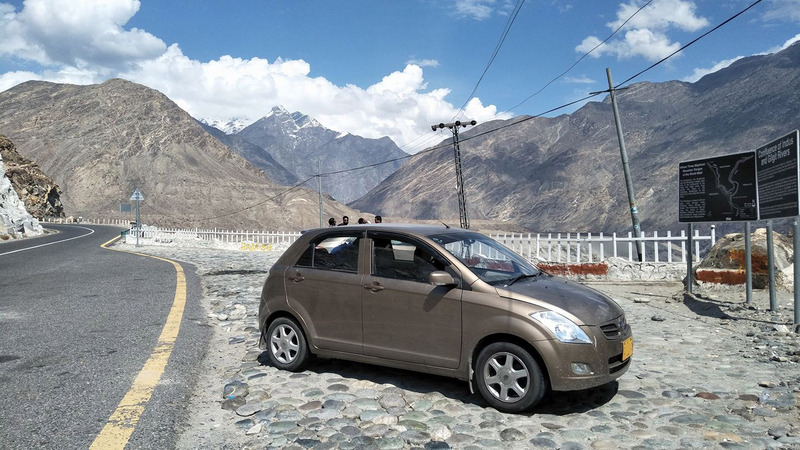 The average fuel consumption of Umair’s V2 is, 13.34 km/ liter, of mixed highway and city travelling. On highways, it generally gives out 15+ km/ liter, depending on the speeds. In city, it is mostly 12-13km/liter, depending on traffic and other factors. As a general rule, the car will do anywhere between 12-16 km/ liter most of the times. 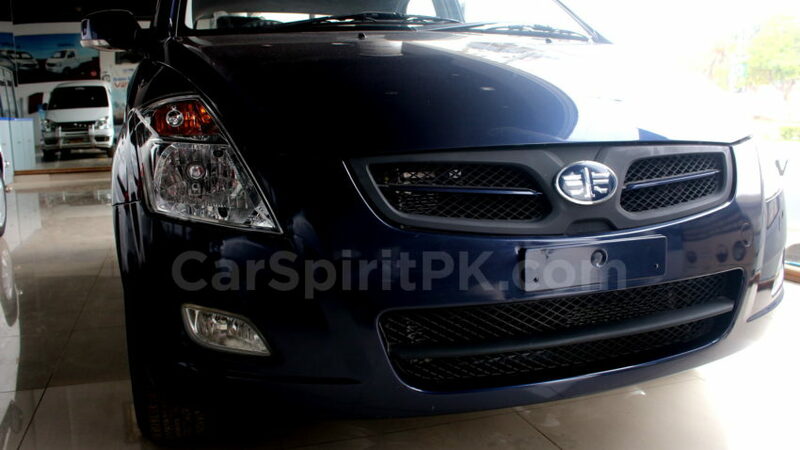 Umair says he will recommend others to buy V2 if they are looking for a practical small family car in this budget. Muhammad Abdullah is from Lahore, and is an avid automotive enthusiast. He runs a Youtube channel called DemLahoriGuys, and is one of the proud owners of V2. 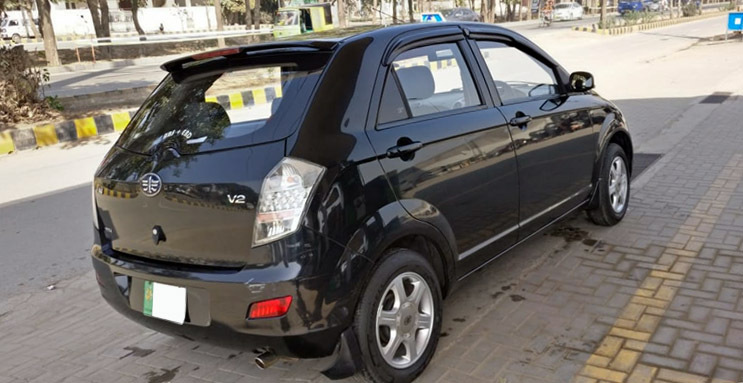 Abdullah owns an imported V2 model from 2016 and is the first owner of the car. 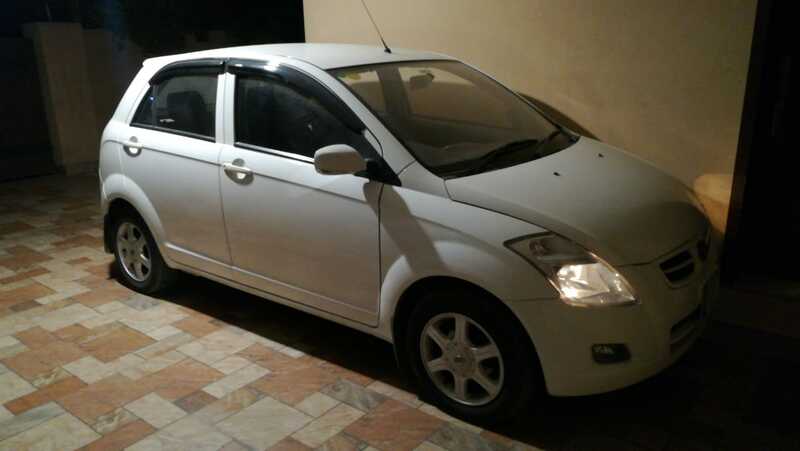 Drove it on Motorway around 129 km/h speed and got 11-12 km/ liter with 5 people and AC on. On GT Road to Multan from Lahore it gave us 15 km/ liter. In Lahore however, it totally depends on the place and time. There were times when I got 10-11 km/l, mostly because of harsh driving and heavy traffic. But I’ve also gotten around 13 km/ liter when there was okay traffic and I drove like I wasn’t involved in a police chase. Abdullah describes the drive as fun and effortless. The electronic throttle and steering wheel are very responsive. 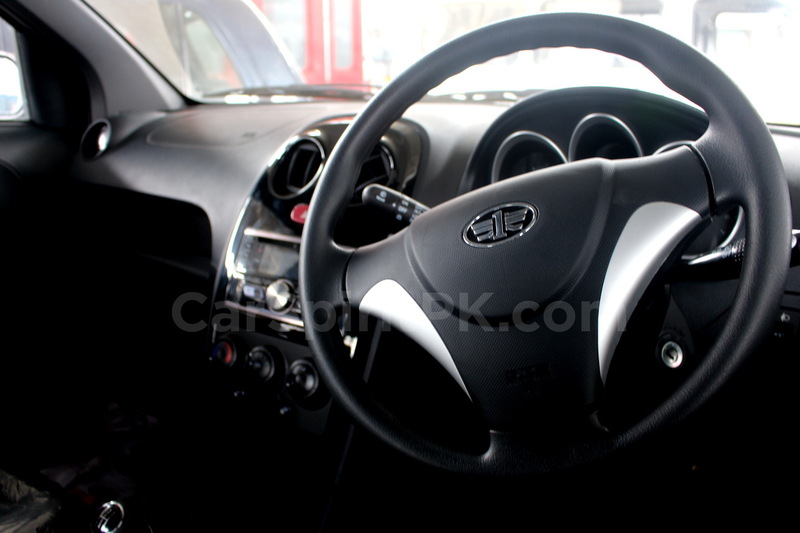 The brakes are very effective owing to the electronic brake-force distribution (EBD) and ABS. 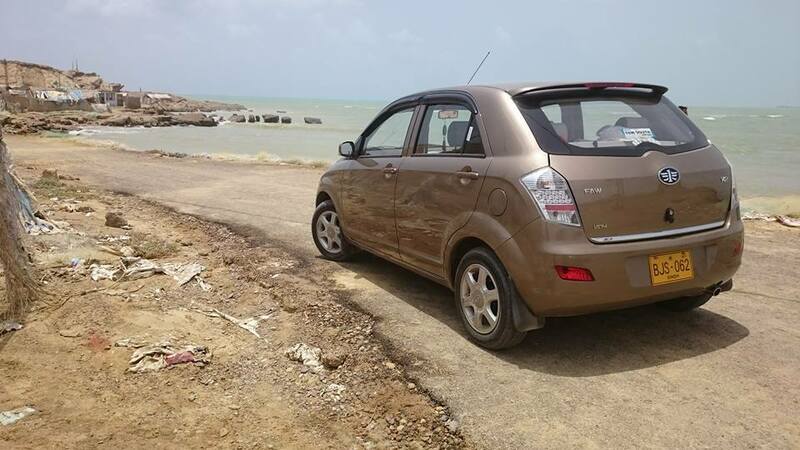 The drive isn’t perfect but still it’s much more comfortable than the WagonR or Cultus. The boot space is very good for a hatchback. I’m at 6’ 2” but headroom and legroom aren’t a problem in this car either. The independent rear suspension does a good job overall so for the city traveling where speeds aren’t more than 80 km/h, I’d rate the comfort to a 9.5/10. Living in Lahore, Abdullah believes maintenance of V2 hasn’t been that much of an issue and the prices of spare parts are also somewhat reasonable. 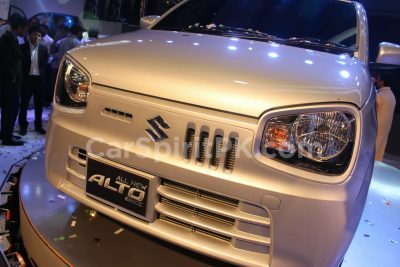 User opinions are generally quite positive, however majority of the owners believe the company should introduce an automatic transmission variant and add a few more convenience features such as a center arm rest, back wiper & reversing camera etc. While the exterior of the vehicle is neither dull nor too attractive, the interior design is something that needs to be redone. Although the company has recently introduced a black themed interior and added new exterior colors to the offerings, still the users believe it’s about time to introduce a facelift with some stylistic improvements. Apart from these little snags, the satisfaction level for a car originating from China is quite phenomenal. 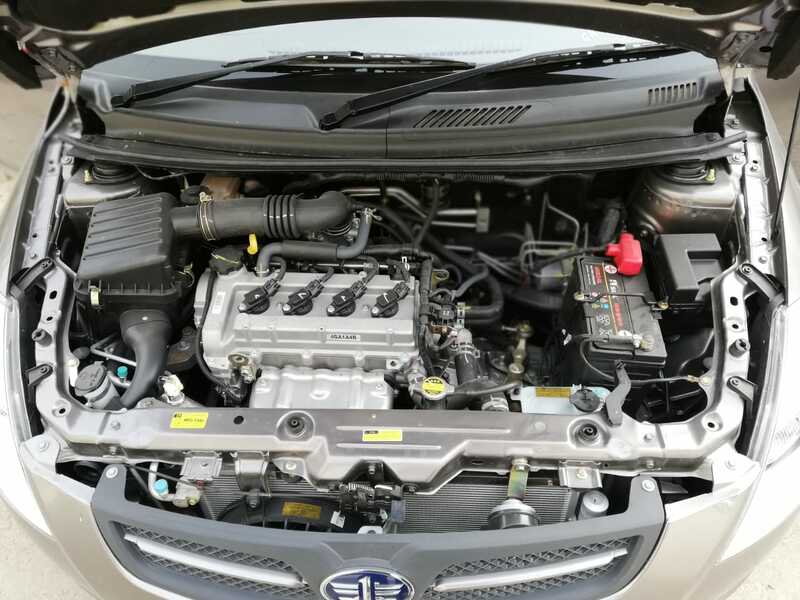 The FAW V2 in Pakistan comes available with a 1.3 liter engine that is compliant to Euro IV emission standards, as is mated to a 5-speed manual transmission. 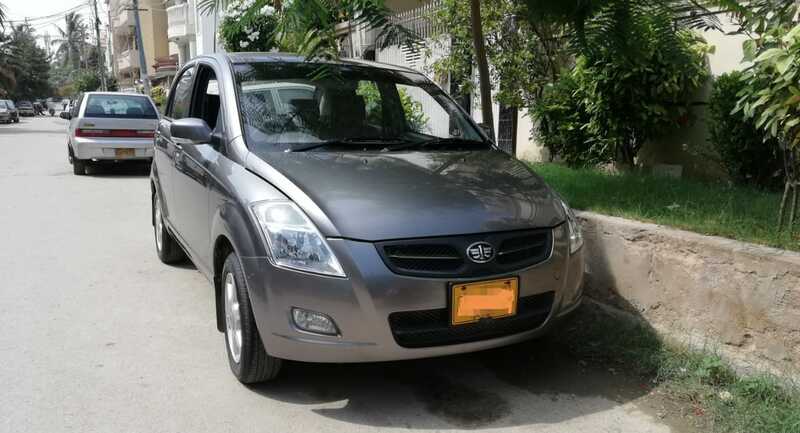 Key features include Dual Airbags, ABS with EBD, Alloy Wheels, Power Windows, Electric Power Steering, Central Locking and Engine Immobilizer. 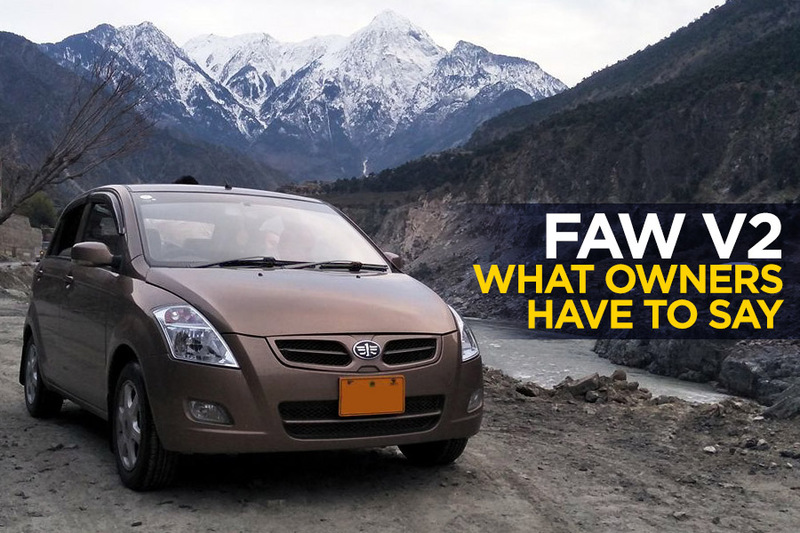 Given a chance to buy a new car in PKR 12 lac range, will you buy a FAW V2? Let us know with your comments.